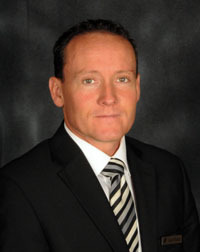 Scott has 20 years of experience in the Funeral Profession. He received his licenses in both Funeral Director and Embalming from Mount Royal College. Scott is very active in the Community with Rotary, Chamber of Commerce, Drumheller and Area Health Foundation and other various groups. Service to the family has always been foremost and will continue to be for Scott. Sean was born in Drumheller and lived here until 1992 when he moved to Calgary to attend Mount Royal College. It was during his time in Calgary he worked in the restaurant and catering industry while attending school. In 2000, Sean moved home to Drumheller. Sean completed his Certificate in Practical Nursing in Continuing Care and worked with Drumheller Continuing Care for a few years. In 2002, Sean joined Courtney-Winter's Funeral Chapel and apprenticed as an Embalmer and has been a member of the care team ever since. Sean was approached by friend and mentor Gus Hamilton (then Manager of Courtney Winter's) to join the organization and perhaps become involved in ownership down the road should he find his work gratifying. That answer came in 2008 when Sean became a share holder in the company that currently owns Courtney-Winters Funeral Home. Sean finds great satisfaction in serving others. He enjoys his work in embalming and ensures the needs of the families he serves are a priority. 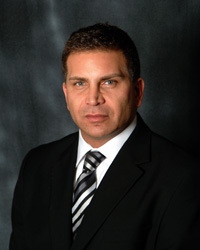 He also enjoys working with such a capable and caring team at Courtney-Winters. In his spare time, Sean is a member and volunteer with various clubs, committees and boards in the Drumheller area and is also a Commissioner For Oaths. 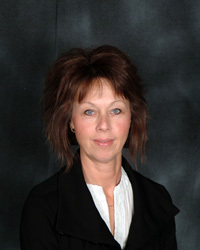 Lisa was born in Durham, Ontario and moved with her family to various communities throughout Canada before settling in Drumheller in 1976. Lisa attended grades 2 through 12 in Drumheller and it was in grade 10 that Lisa joined Winter's Funeral Home as a Work Experience student. She enjoyed her work so much, at the age of 19 she entered the Humber College School of Mortuary Science and graduated with a "Most Improved Award". Lisa doesn't have one particular reason for entering funeral service. She finds all aspects of her job equally important and derives deep personal gratification from them all. Lisa is married to Darryl Jacques. They live in the Drumheller area and are the proud parents of 1 girl and 3 boys who keep Lisa busy in all aspects of community activity. Lisa is on the Drumheller Minor Hockey Association Board as Equipment Coordinator, she participates on parent committees for 2011 Grad and in elementary school activities with her youngest. Maurice was born and raised in Bentley, Alberta. He has lived in Drumheller for 29 years with a short time in the Edmonton area in between. 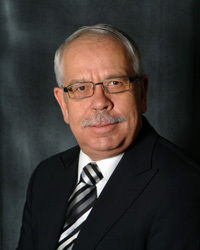 Maurice began his career in funeral service in 1977 working at Johnson Funeral Home in Sylvan Lake. In 1981, he purchased what was then Winter's Funeral Home in Drumheller and managed and directed it until 1994 when he started Memories Funeral Home in Edmonton. After a short time in Edmonton, Maurice is back in Drumheller, semi retired and working with the care team at Courtney-Winters. Maurice entered funeral service as a result of a very difficult personal experience. When he was 13, he lost a brother in a motor vehicle accident. He remembers being impressed with how well his family was treated by the funeral directors who assisted them with their service. By the time he was 15 he knew he would be a funeral director and he followed his dream. Maurice gains personal satisfaction working with families. In his spare time, Maurice is Treasurer for the Canadians Badlands Passion Play and Trustee for Knox United Church, Drumheller.